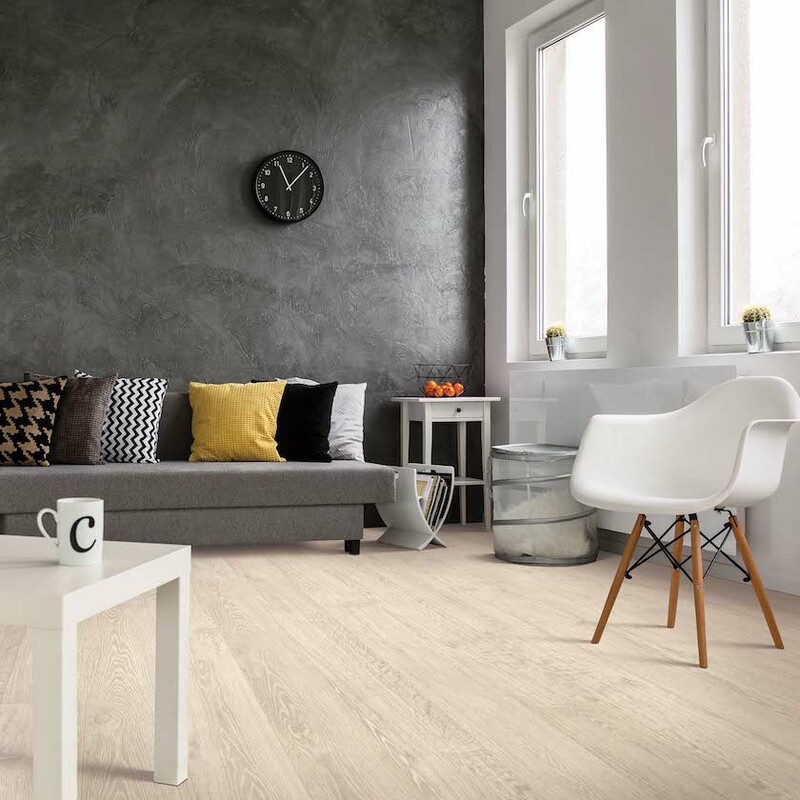 One of the best features of laminate flooring is that it is priced lower than the materials it so convincingly mimics while still delivering outstanding performance. Even so, flooring can get quite expensive, especially when you add installation costs. With prices running between under $1 a square foot to just under $3 at the high end, the average floor should run about $2,000 and more likely in the $1,500 range. The reason for this price difference may lie in the product itself. Not only is laminate eminently DIY-able, there is also a vast difference between low end imports and higher quality goods the can affect its overall installed price. At the high end, you’ll find increased board and wear layer thickness, dramatic visuals treatments, embossed in register techniques that create texture and pattern, and now moisture resistant treatments that can stand up to sitting spills. Remember this, it costs as much to install a cheap floor as it does to install a higher quality product. That’s why I recommend you also look at not only your first choice but also one upgrade level above that. See which makes more sense for you. Quality matters, especially with laminate flooring. It may be worth spending a little more up front to get a whole lot more in the end.